Known for being a city of diverse art and culture, it makes sense that Wellington is home to many great creatives and fabulous design stores. Sometimes I think there must be something in the water down there! Jane Denton who I interviewed here, is an incredibly talented Wellington-based textile artist whose work I simply adore. 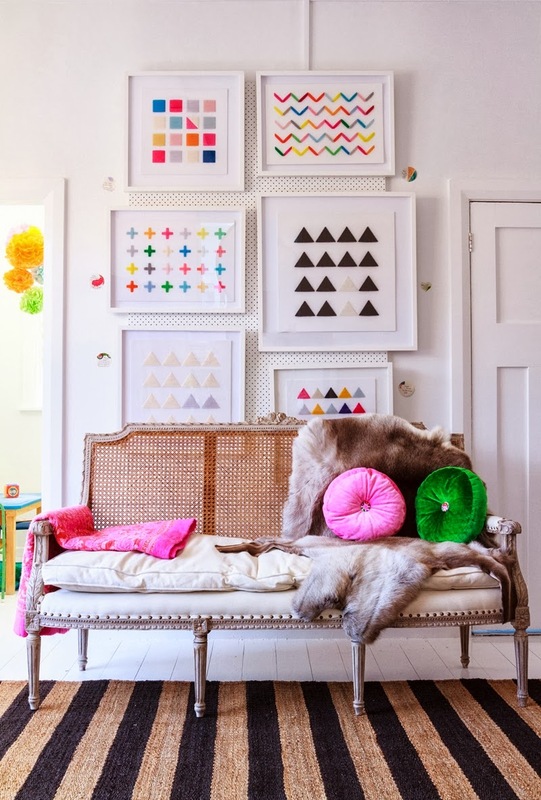 You'll have no doubt seen her stunning X artwork that graces our living room picture wall. 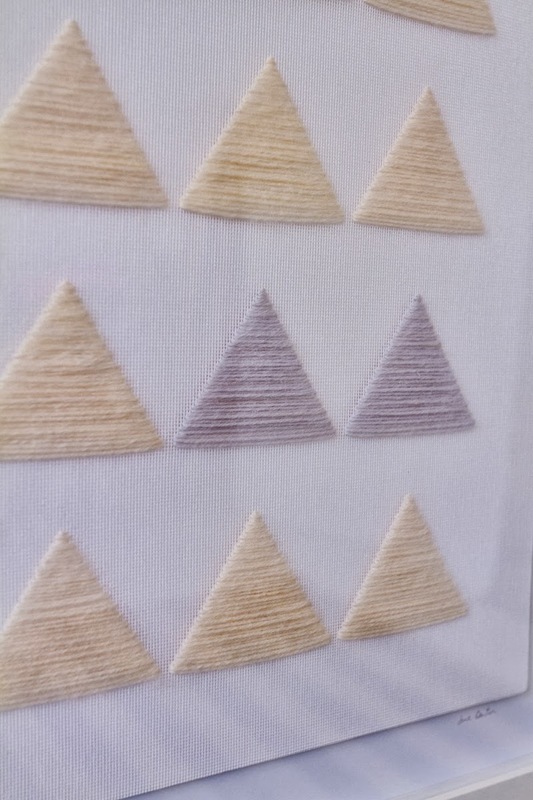 Much to my delight, Jane recently produced a beautiful new series of works, and once again there was once piece in particular that I immediately fell for, the Black & White Triangles. 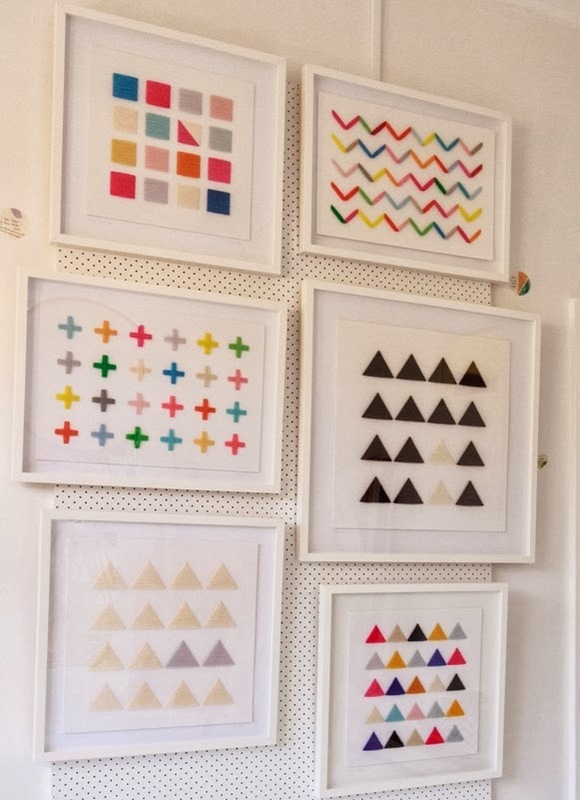 Pure monochrome magic, it's shown below alongside some of her other gorgeous artworks, including the new ones I Love Colour, White Triangles and Coloured Triangles. What I love about Jane's art is that while the pieces make a simple, yet striking statement in any room, they are hand crafted with such skill, in an amazingly intricate way. 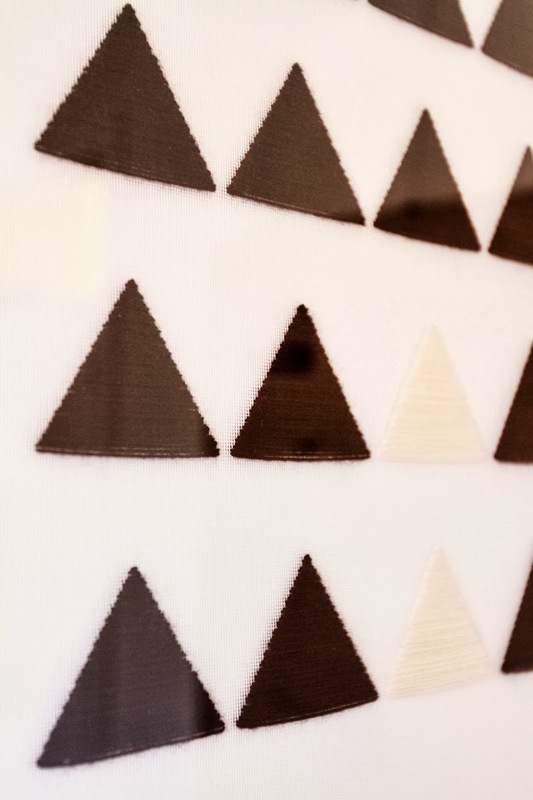 You can imagine my excitement when a small version of the Black & White Triangles artwork arrived for my son's room, which you may have seen here on my instagram. Jane's newest stockist is the recently launched Tea Pea design store in Khandallah, where these lovely photos were taken. 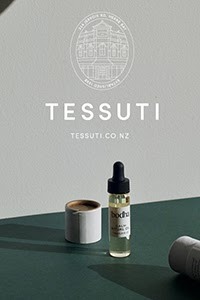 Already a well-loved online store, specialising in beautifully hand-made local products, Wellington residents are in for a special treat, now being able to visit and shop in person. Jane, who will be working there a couple of days a week, and owner Meg have some very exciting plans for the store, so watch this space! I'll be reporting back with the full lowdown and photos for you soon. In the meantime, if you're in Wellington, make sure you pop in for a look at 22 Ganges Road in Khandallah. The store is open Monday to Fri 9am-5.30pm and Saturday 9am-4pm. 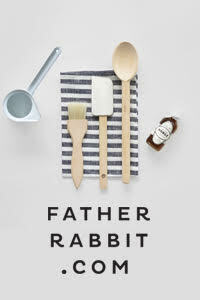 Another Wellington-based designer to recently cross my radar is Jane Hudson, who has launched the kids bed linen and accessories range Love From Friday. Jane's interior design skills, combined with an addiction to colour, pattern and fabric is evident in her gorgeous creations. 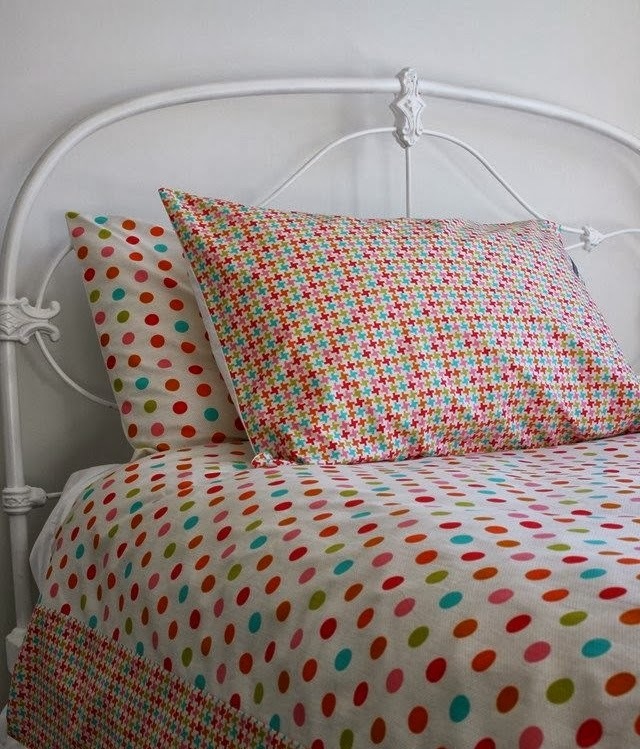 Designed to make children's bedrooms fun and inspiring, Jane also believes that children deserve to sleep in beautiful quality bed linen, where they can be cosy and dream sweet dreams. I couldn't agree more! 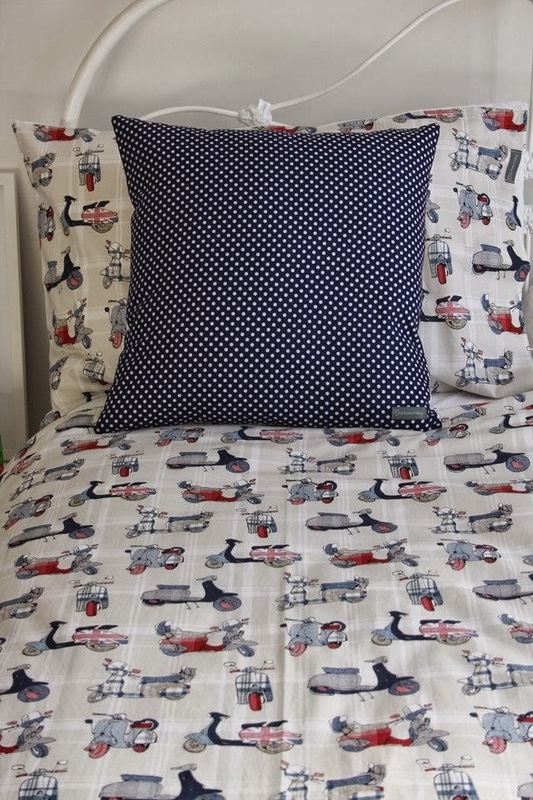 The range of bed linen includes cot, single and king single size options, pillowcases and cushion covers, with choices for both girls and boys. 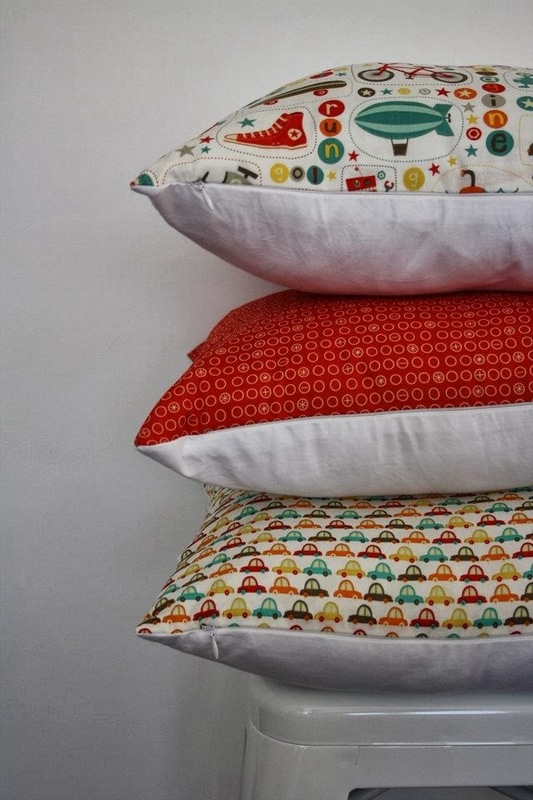 All of these are designed and made in Wellington, with fabric sourced from around the world. Pop over here to see what's on offer, and to shop online. Jane has plans to expand the collection of products, so make sure you follow the Love From Friday Facebook page to stay in the loop! Thanks Mel, that's really nice to hear! The designs individually looks so simple, but when put together they compliment each other and create a masterpiece.